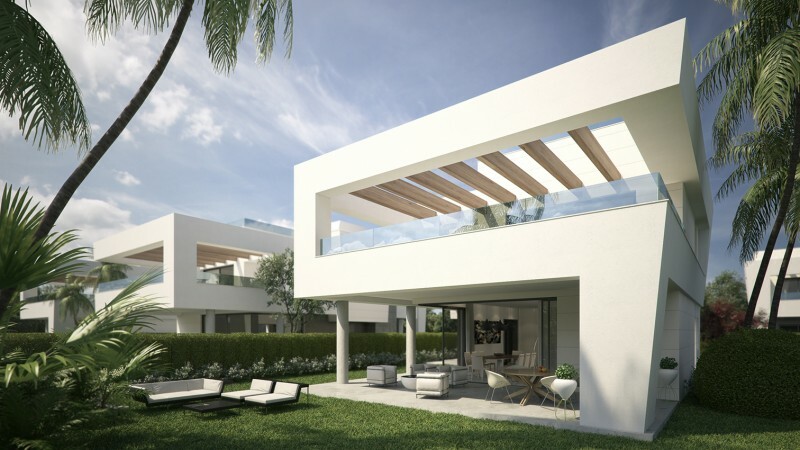 Nerw Development, Off-plan, Marbella. 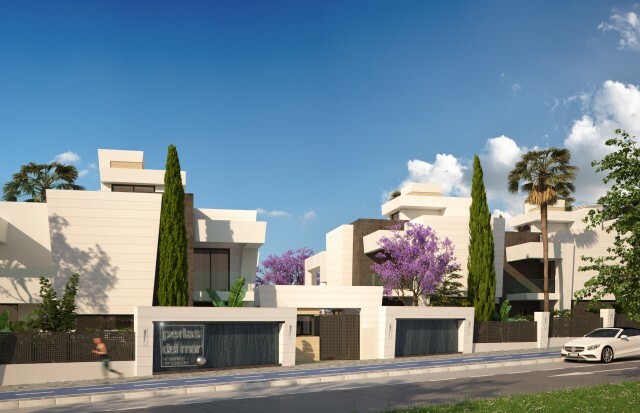 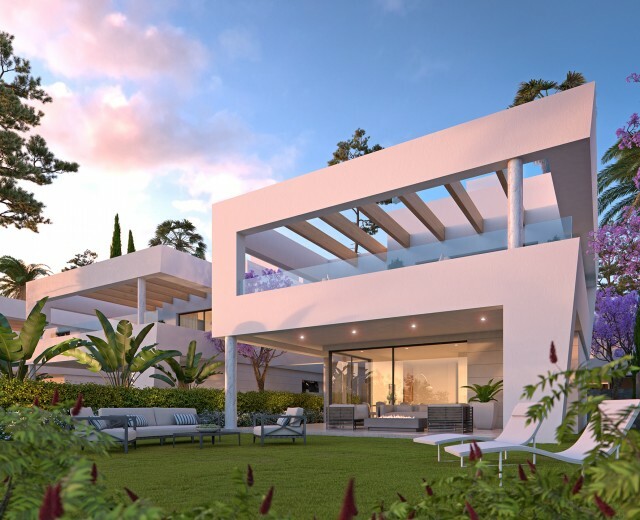 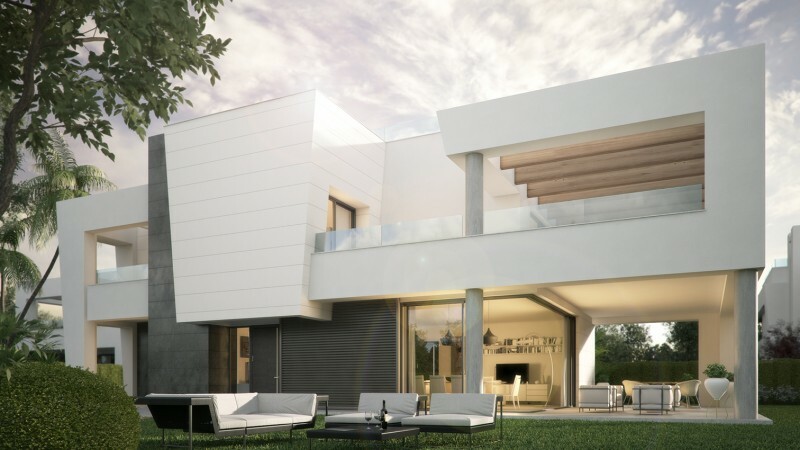 Perlas del Mar is an exclusive development of 10 luxury contemporary villas located on the beachside of San Pedro de Alcantara within a short walk to the breach and all the facilities of the town including the shops restaurants and the fabulous new boulevard. 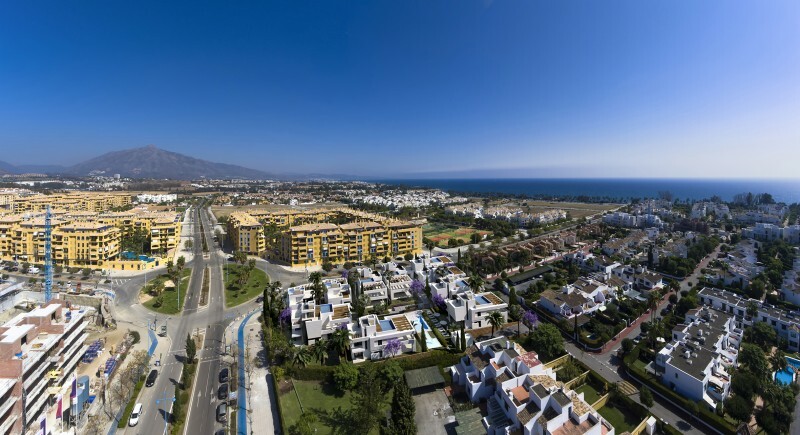 This location is perfect for easy access to all that Marbella and Puerto Banus have to offer and you a choice of golf courses on the doorstep. 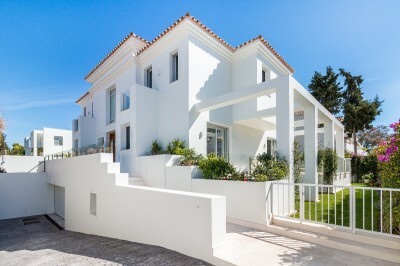 There are 10 villas in a gated community with a large communal pool and garden. 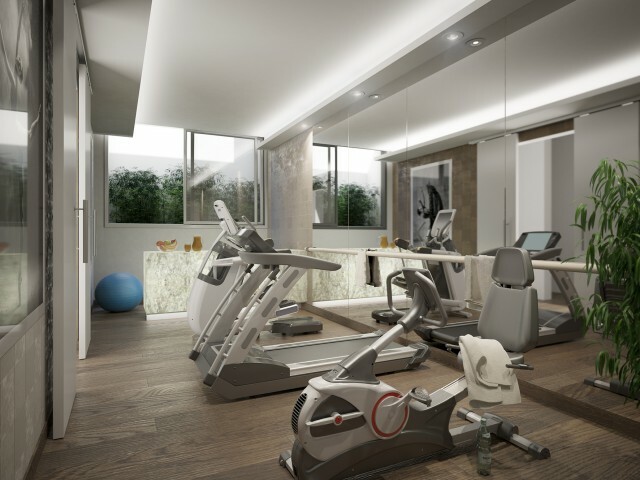 Additionally each house has a private garden area and a roof top solarium with a private plunge pool. 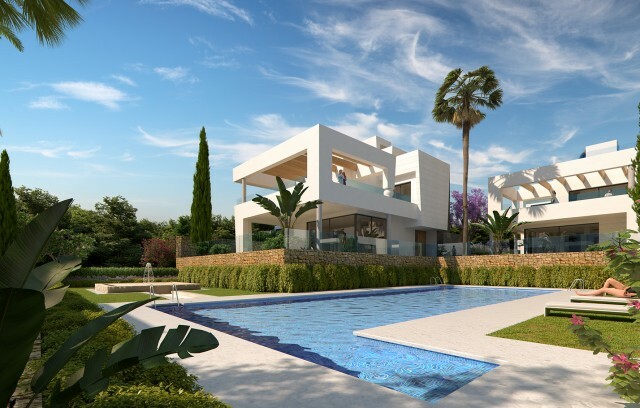 You get the best of both worlds, the social aspect of the community pool, which is wonderful for children and privacy of having your own pool. All the houses are fitted with a lift so are great for elderly relatives or the disabled. 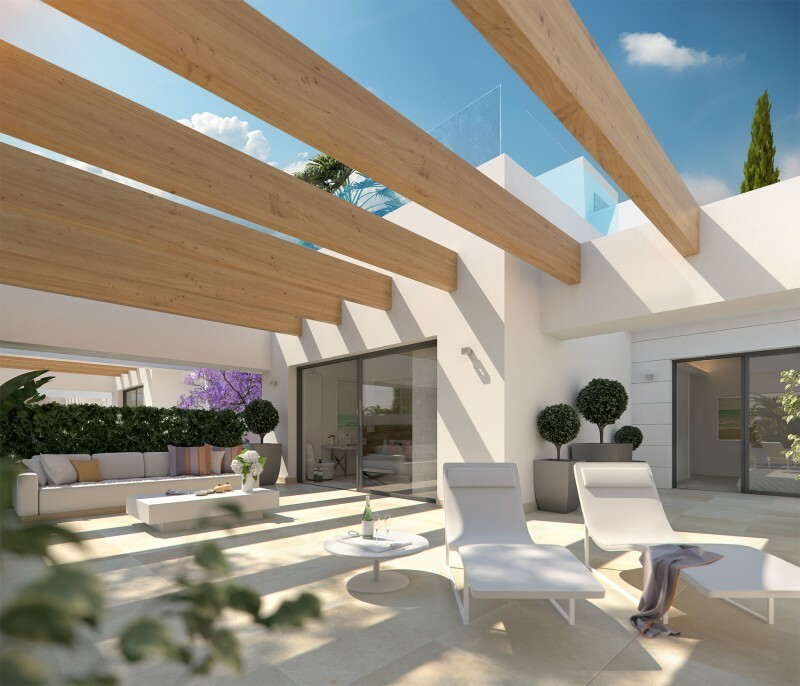 The houses are all similar with en entrance hallway with cloakroom off leading to an open plan living and dining room which is also open to a modern luxury fitted kitchen which incorporates a full range of appliances. 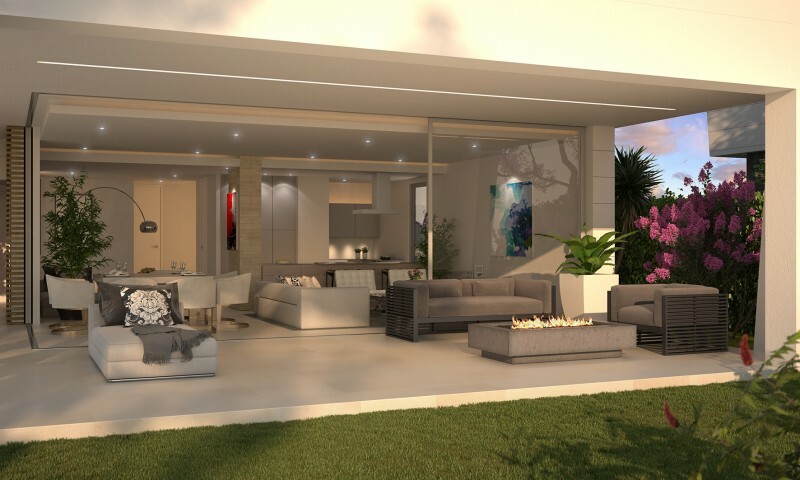 There is a large covered private terrace which leads to the garden. 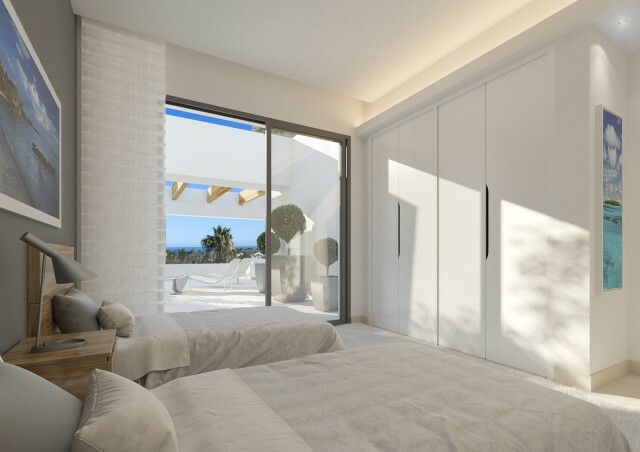 On the entrance level there is a guest bedroom and a bathroom. On the first floor the master bedroom has a dressing room and en suite bathroom. 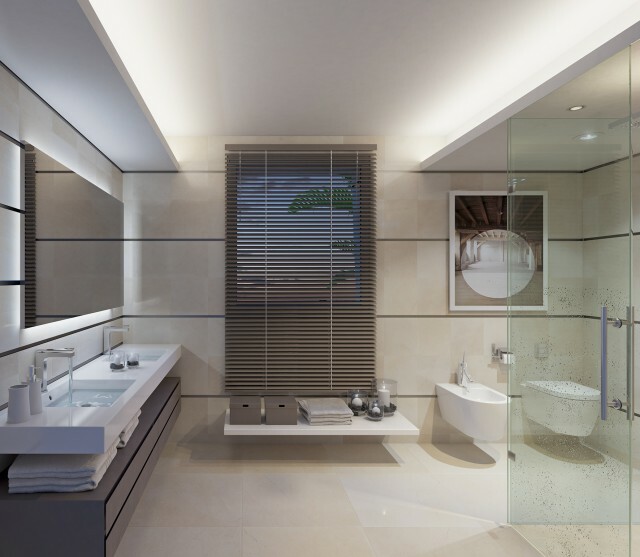 And the remain 2 bedrooms share a bathroom. 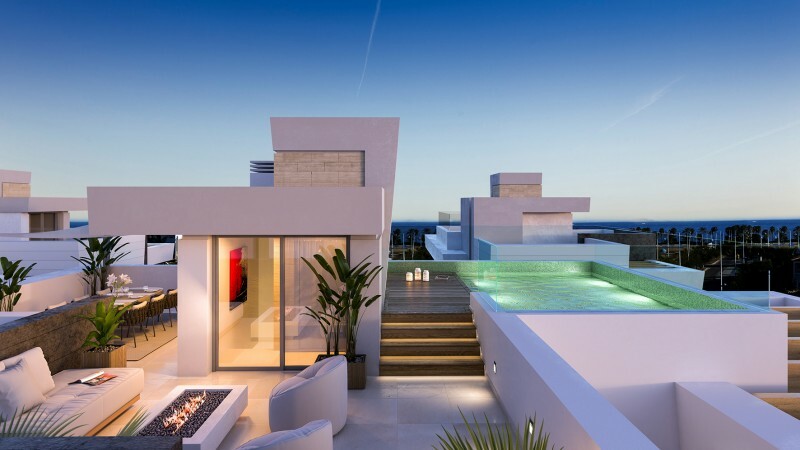 There are further terraces at this level and the solarium and pool above. Each house has a basement of varying size and at least 2 private parking spaces. Fixtures and fittings throughout are of high quality including marble floors, double glazing, hot and cold air conditioning.